President Josh Lund thanks Minnesota Department of Health official Stew Thornley for his talk on the state of water in Minnesota. Clean water is RI's awareness theme for March. Meeting Responsibilities for March 27: Sergeant At Arms- Tim Blank. Invocation- Kristen Stuenkel. 15 members and visiting Rotarian Mark Erjavec heard Stew Thornley, spokesperson for the Minnesota Department of Health, expound on the state of water in Minnesota- its quality, delivery, contaminants, and other issues. In lieu of the 501 meeting scheduled for April 17 (501 meeting attendance has been light), the club will offer a normal breakfast on that date, and instead will attend the 20th annual Columbia Heights Interfaith Prayer Breakfast on Tuesday, May 7th at Murzyn Hall, 530 Mill St NE.. This interfaith, multicultural event will begin at 7:00 AM, with a catered Mexican breakfast at 7:30. The program will be provided by the homeless-youth agency Hope 4 Youth, and will conclude at 8:45 AM. THE PRAYER BREAKFAST REPLACES THE NORMAL MAY 8 BREAKFAST MEETING. 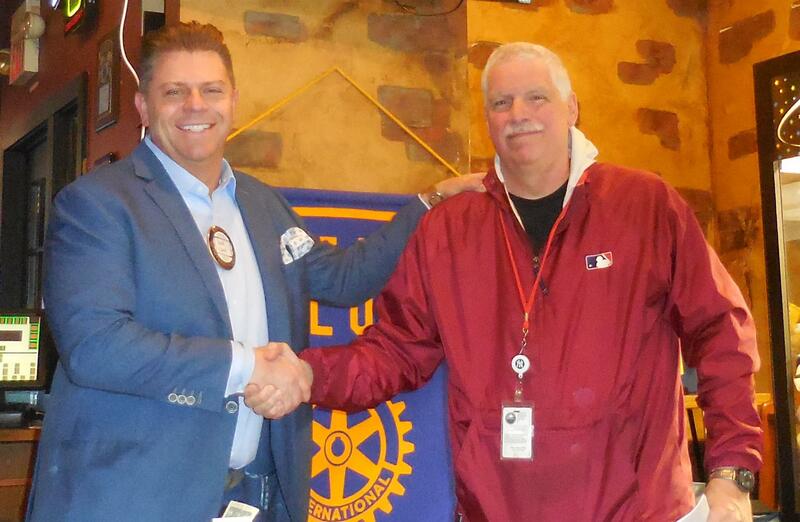 The new club Facebook page, Fridley-Columbia Heights Rotary is up. If you are on Facebook, please Like and Follow.